William Calvert Photography. No content or images are in the public domain. 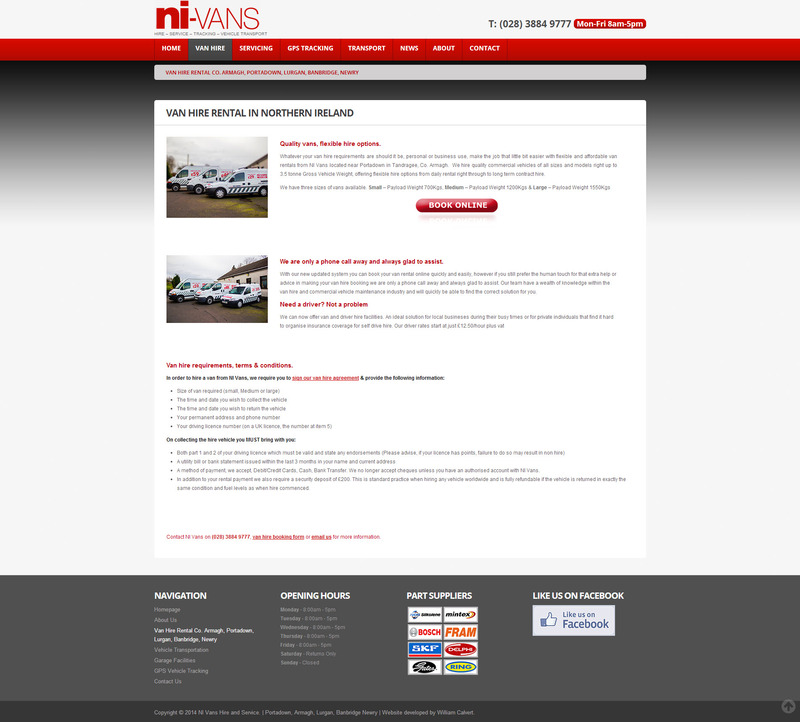 After seeing my business website design work for AP Signs, Brian got in contact with me to design a website for his van rental business NI Van Hire. 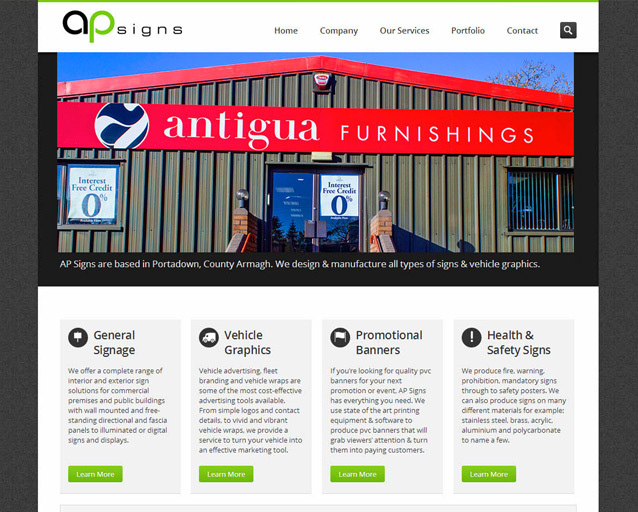 Brian already had a website so I was tasked with upgrading it to a new design, improving SEO and making it mobile-friendly. 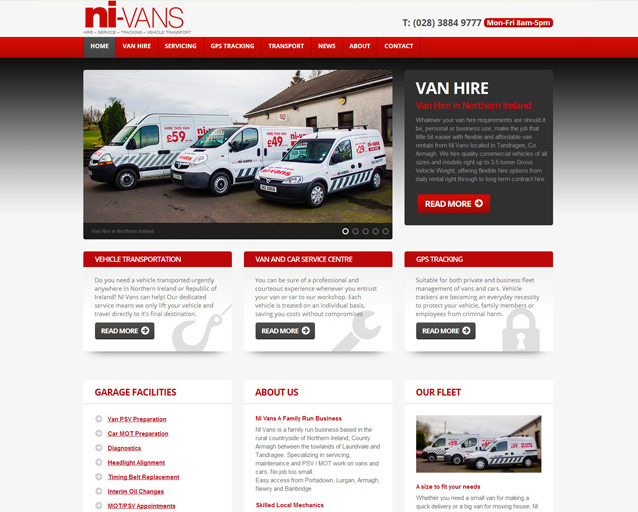 My business website design for NI Van Hire was based on WordPress with a brand new template design that was mobile ready. 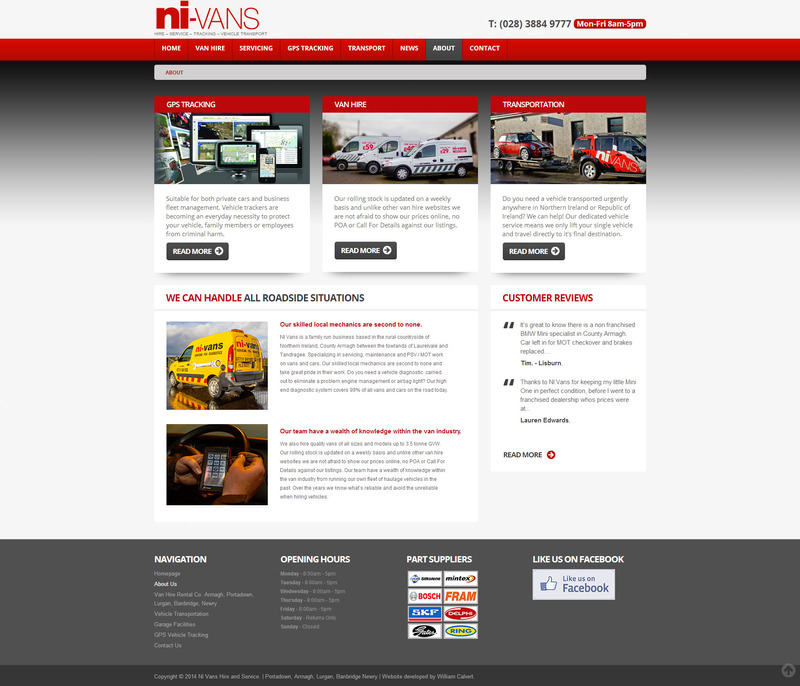 The website design was adapted to match the brand image and colours for Brian’s company. 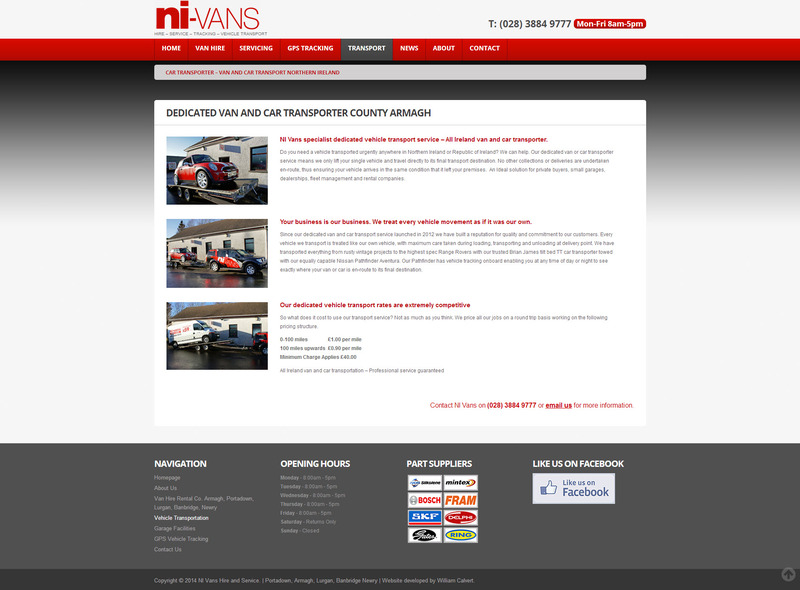 Photographs were taken of the various vans for hire, professionally edited and placed into photo galleries. 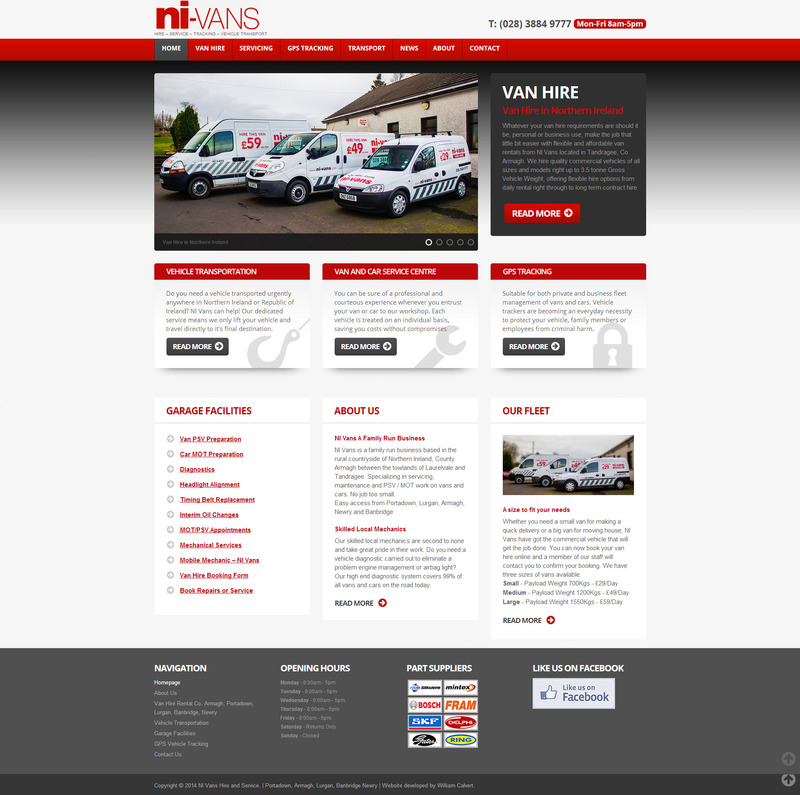 The main feature of this business website design was the van hire booking forms. 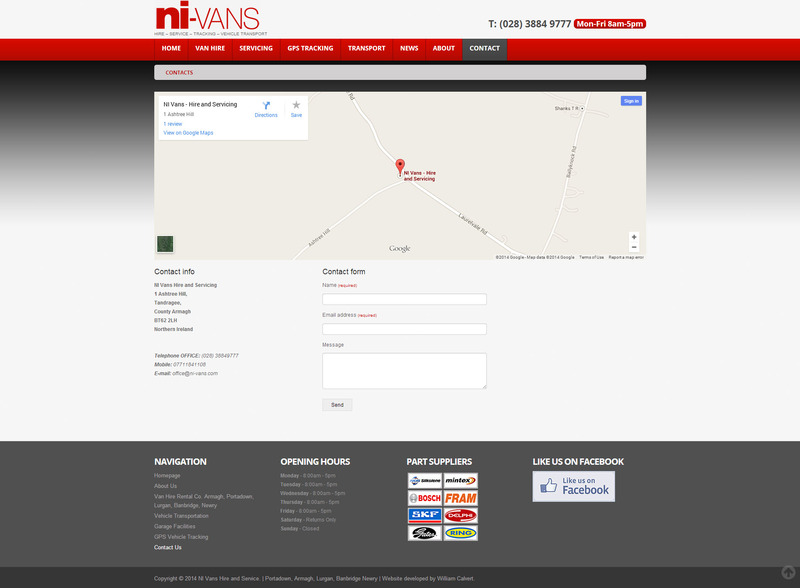 A fully featured and user-friendly form was added to the website so customers can choose exactly the van they want to hire. 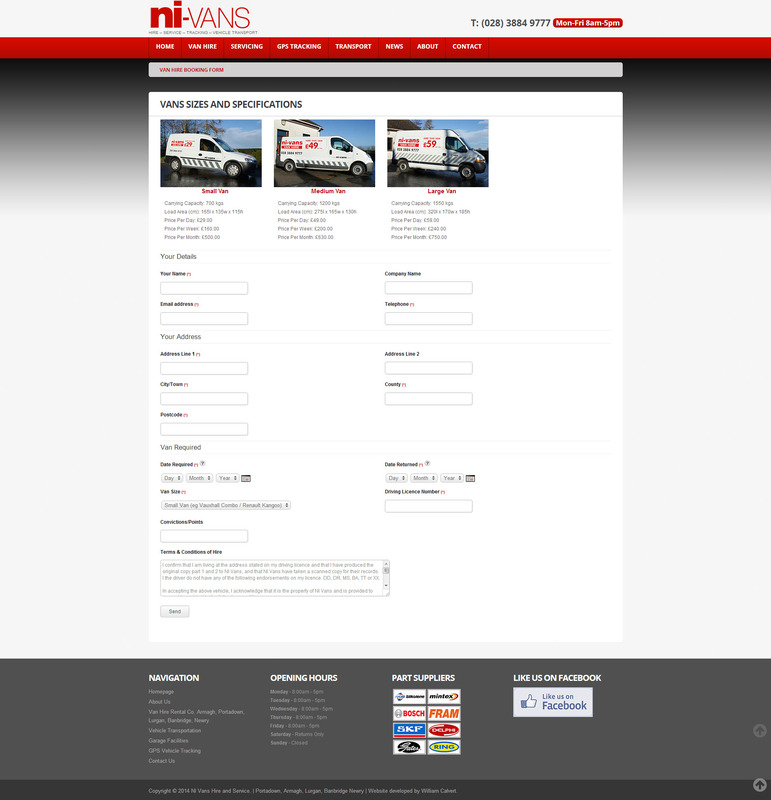 Customers are required to fill out various details such as insurance therefore these additional fields were added to the booking form to capture this information. Terms and Conditions were also added and must be accepted before the booking form can be submitted.